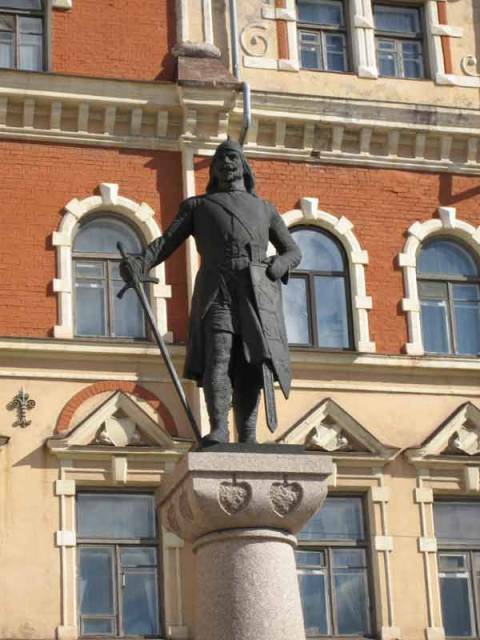 A monument to the founder of the Vyborg city Torgils Knutsson stands on the “Old City Hall” square, in front of the famous Vyborg castle. The author of the monument is sculptor Ville Vallgren. The monument was originally installed in 1908. Then, in 1948, monument was dismantled and re-installed on its place in 1993. On the other side of the Vyborg castle, on a hill, stands a monument to Peter the Great. View attractions, hotels and shops location on the tourist map of Vyborg.